This past week, in my role as a health care attorney, I had the opportunity to attend the Association of American Medical Colleges’ (AAMC’s) Annual Meeting, Learn Serve Lead, in Austin, TX. I’ve been attending this particular meeting for nearly a decade now, and I am always wowed by the impressive keynote speakers the Association invites. This year was no exception. 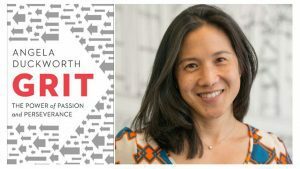 On Saturday morning, Dr. Angela Duckworth kicked off the conference with a fabulous talk on grit. This is the subject of her research and topic of her book Grit: The Power of Passion and Perseverance. Dr. Duckworth had us riveted in our seats, as she drove home messages that resonated for me not only as a professional, but also as a parent. With little ones at home, we face not only the question of “should I stick with this particular project, activity, role, or career,” but also “should I require my child to stick with this particular project or activity.” If you’ve ever had a child who declared he wanted to quit a sport or music lesson (perhaps while stomping his feet), you know what I’m talking about. Though it’s impossible to sum up in a few words all of the important messages from Duckworth’s talk, I wanted to share her advice on two points with you: (1) when not to call it quits; and (2) a key factor to accomplished professionals’ success. 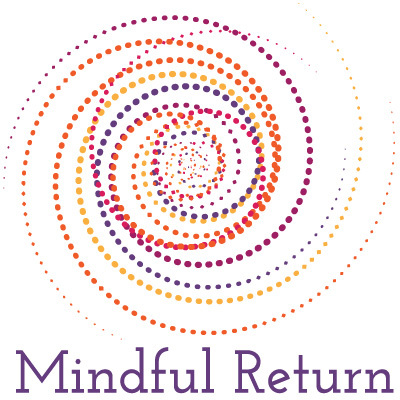 My all-time favorite piece of advice from Dr. Duckworth’s talk was to “drop out on a good day – not a bad one.” Had she not followed this advice, she shared, her now best-selling book would never have gotten published. Yes, she wanted to quit the book-writing process (and declared she was going to) on the hard days that brought her to tears. But her husband reminded her those aren’t the days to make the decision to give up. Now, she’s an internationally-acclaimed author. There are perfectly good reasons to quit something, she advised. But don’t make the decision on a bad day, where it will inevitably come from a place of defeat or powerlessness. 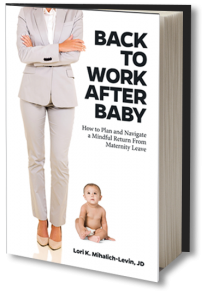 This advice is particularly apt, I think, in new working parenthood. Man, are those early days of sleep deprivation and identity crisis difficult. “Maybe I’m not cut out for this working motherhood thing,” whispers that voice of fear. “I just can’t work for my employer around the clock like I used to, so maybe I don’t have any value to them anymore,” you might be thinking. Of course, there may be perfectly legitimate reasons to consider changing your work arrangement or choosing another employer. Hellish commutes. Inflexible supervisors. Unsupportive colleagues. But don’t make the choice on a bad day. First, give yourself time to let that sleep deprivation pass. Look at the situation with clearer eyes. And then make your decisions from a place of remembering that all the skills and talents you had before you became a parent are still with you today. The successful people Duckworth studied had a “bias to completion,” meaning they didn’t jump from one thing to the next, simply because things got difficult. Rather, more often than not, they liked to see projects through. It is the “consistency and duration of passion” – sometimes over an entire lifetime – that leads to success, she said. Success is not, she reiterated, about pulling the all-nighters, never disconnecting from technology, or consistently working 80-hour weeks. Those things lead to burnout. And, I’d wager, they probably weaken our ability to hold tight to that consistent and enduring passion. Rather, having grit is about tenacity. Stick-to-it-ness. And the idea that you’re in this for the long haul. I’m here to argue today that parenthood is the ultimate training ground for grit. Why? Because we’re in this thing for the long haul. It’s not as though any of us can just walk away when the going gets tough. (Well, technically we could. And some do. But I suspect if you’re reading this, you’re not likely to be considering walking away from your children.) Most of us have signed up for a lifetime of commitment to the high highs and low lows that come with raising children. We have a passion for being parents. And we’re committed to that consistent and enduring passion. 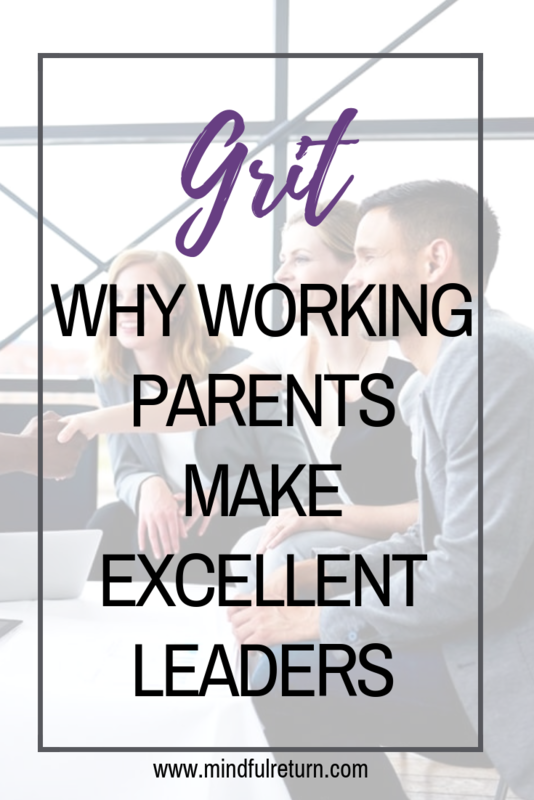 If parenthood is the perfect training ground for grit, and if employers want gritty leaders, then they should be hiring, promoting, and celebrating working parents. The days, months, and years our children are young are but a season of our lives. One in which we probably won’t look exactly like our non-parent colleagues. But if employers believe in us for the long haul, I promise we will be your accomplished leadership success stories.